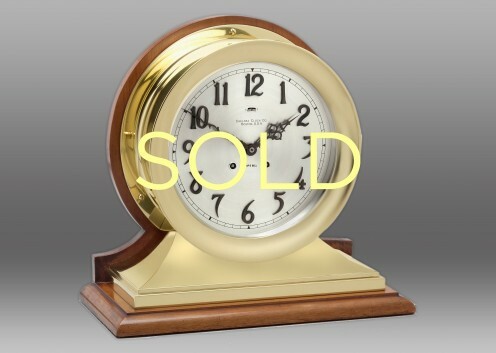 Original vintage clock produced in the early 1900’s by Chelsea Clock Company for Susfield Lorsch and Company. Shipped from our factory on October 13, 1909. Unlike most shelf models with fixed bases, the wood cradles the clock case without interior screws. The Commander Clock was discontinued in 1931 due to cost cutting measures precipitated by the Great Depression.